Cut the croissants through the middle so you have a top and a bottom. Pre-heat the broiler/grill. If you'd like to crisp up the croissants a bit, place them outside first under the broiler/grill for a couple minutes, then turn and toast the inside, keeping a close eye on them as they can easily burn. Spread a thin layer of mustard on the inside of the bottom of the croissants and lay the ham on top - you may need to cut the ham to get it to fit a little better. Cover the ham with grated cheese (this is the approx 1/2cup/45g) so you have a good layer but it's not falling off. Make the sauce by melting the butter in a small pan. When melted, add the flour and cook, stirring regularly, for a couple minutes until it tarts to smell slightly nutty. Gradually add the milk to the butter-flour base, a little at a time and stirring as you go so it is well combined and trying to avoid lumps. Allow the sauce to warm through and thicken up. Once it is relatively thick (it will still run off your spoon but more slowly), add the 1/3cup/30g cheese and stir in so it melts. Add a little nutmeg and pepper to taste, remove from heat and set aside. Toast the bottom half of the croissant (with the ham and cheese on) so the cheese melts. Meanwhile spread a spoonful of the sauce on the inside of the tops of the croissants. When the cheese has melted, put the top of the croissants on top of the bottom then pour the sauce over the top of the croissants. If you haven't had your croissants sitting on a tray you might want to before you do this so you don't lose any sauce. Toast the croissants under the broiler/grill until the sauce starts to brown slightly. Remove and serve, scooping any sauce that ran off over the croissants, optionally topped with a few chives. It’s Foodie Extravaganza Day and this month’s theme is Croissants, although some will be using the Crescent Roll. This month’s host is Kathleen from Fearlessly Creative Mammas. 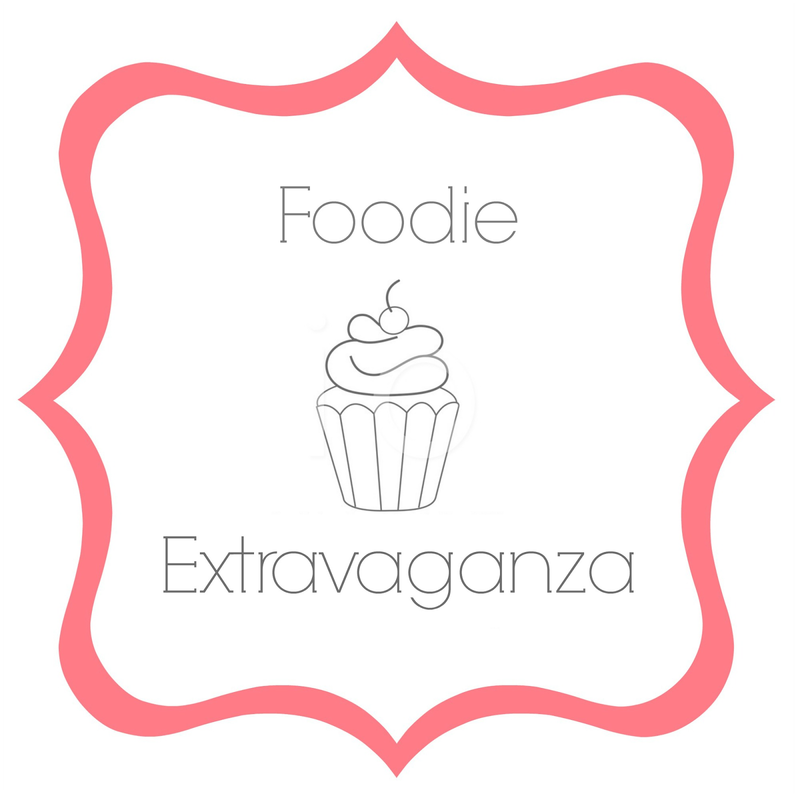 What is Food Extravaganza? It’s when a group of bloggers get together and make a recipe using one main ingredient. Where do we get the ingredient? We look at The Nibble and pick something off of their list. I love croque monsieur’s this looks absolutely stunning! Thanks Kristen, it’s so tasty too! The bechamel on top looks so lovely. I absolutely need to have one of these for lunch! Thanks Carlee, I agree 🙂 Hope you enjoy! I have never had a Croque Monsieur. Merci beaucoup Madame. Do give it a try, Wendy, it’s delicious! I love a nice croque monsieur and creamy bechamel sauce! Yummed! Thanks, hope you enjoy, Analida – it’s delicious! Thanks Denise. Hope you enjoy, they are delicious. If you can’t find croissants then another soft bread will work. Madame, add an egg to mine and it will be perfect. Very true, Faye, I didn’t mention the croque madame version with the egg (that’ll be the cold messing with me!) though personally I think I prefer it without as I think you taste the bechamel more. One of my favorite all time dishes. Yumm. Thanks Terri, it is indeed great! I love a good croquet monsieur, what a great idea to make them with croissants, sounds delicious! Yum! This looks so good! I want one now!! Thanks Elaine, if only we could taste from photos, right?! This looks delicious! Love the top. I’ve never had this, but it is on my list for next grocery day. It looks so yummy. Thanks Kathleen, hope you enjoy! Thanks, Cathy, it is indeed delicious! One of my favorite breakfasts! Looks wonderful. I’m going to try to find some good quality non GMO, gluten free bread to make this combo. My mouth is watering over all that cheese! Thanks, the cheese is so good!